The growth of Maricopa Unified School District mirrors that of many other districts in Arizona recovering from the Great Recession. And that could lead to a communication problem with voters. 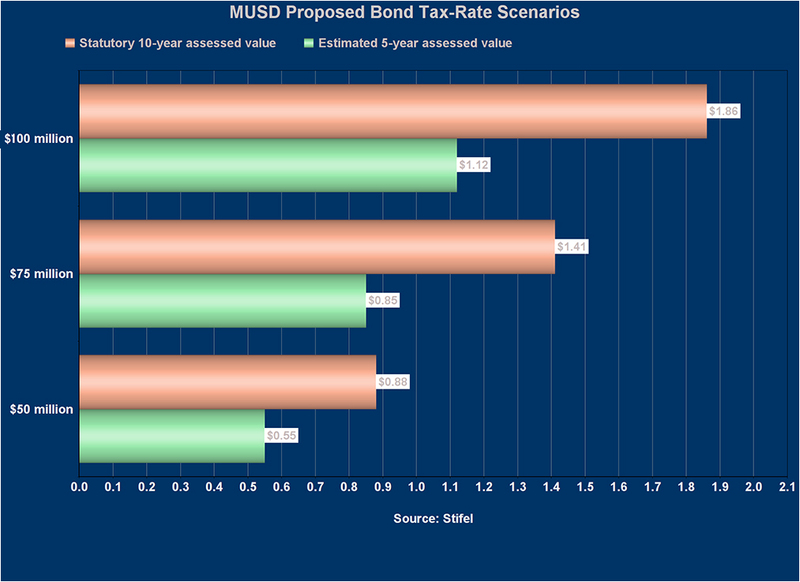 MUSD is preparing to ask those voters for a bond to relieve the pressure on an already-overcrowded high school. Over the past five years, the district’s valuation has grown 5.34 percent. However, the 10-year growth average is only 0.82 percent. By state statute, the 10-year historical average must be used in voter pamphlets to project the growth in assessed value in the tax-impact schedule. Using the 10-year average will produce a tax-rate impact that LaVallee said will be artificially high. As an example, LaVallee showed the 10-year growth average creating a tax rate of 88 cents on a $50 million bond. For the owner of a home valued at $100,000, that would be an annual cost of $88.24. However, LaVallee said a “more realistic scenario,” based on the five-year average, would be a tax rate of just 55 cents, costing the same homeowner $55.49 instead. LaVallee called himself a K-12 specialist, but he also worked with the former Maricopa Fire District on bond elections before the city incorporated. He also worked with MUSD previously on refinancing debt and bond elections. 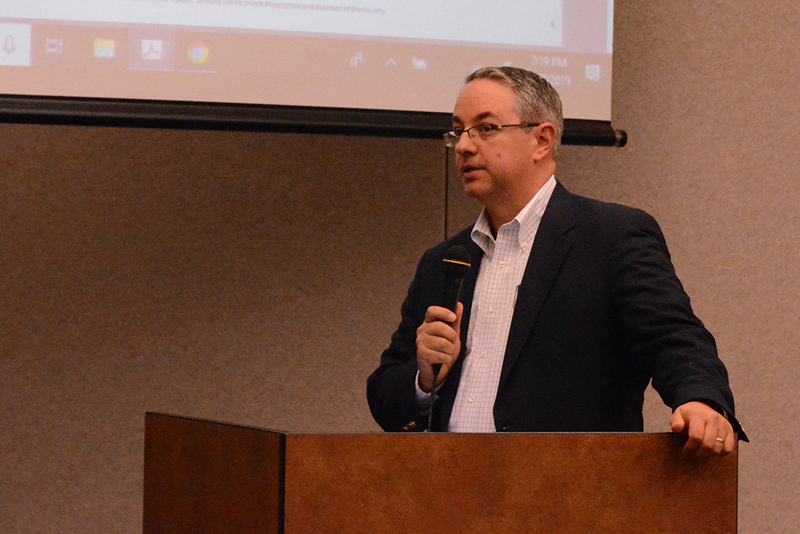 The assessed valuation history of the district “is so important as it relates to bonding capacity and tax-rate calculations,” he said. Bonding capacity is determined by the assessed value. In 2009-10, before the recession fully impacted the area, the full cash assessed value was $441,000. By 2013-14, it was down to $224,000. Then the district grew again. Now, the most recent estimate from Pinal County has the assessed valuation at $390,000, a growth rate over last year of 10.88 percent. “That’s a very healthy growth number,” LaVallee said. The limited assessed property value, on the other hand, determines all tax rates, including bonds. It is called limited because it is restricted by formula. He said the message to the community needs to recognize what the voter pamphlet will show but explain what the real rate will be. He said that kind of outreach will be up to a pro-bond committee.